Portugal is the third country in the European Union which is benefiting more from the financial support of the European Investment Bank in 2018, in proportion to GDP, and one of the very few countries in which there was an increase in the group’s intervention. According to the bank’s annual activity reports, Portugal secured €1.97 BN in new loans, with the largest share going to small and medium enterprises (€904 M). 3.950 SME’s and mid caps were supported, resorting to commercial banks, an initiative which has helped save 153 thousand jobs. EIB’s loans to these companies stood at an average amount of 216 thousand euros, and they were destined to “promoting SME’s economic growth and job creation”, representing 46% of the total of loans granted in Portugal in 2018. EIB’s loans have been gaining importance in the last few years. 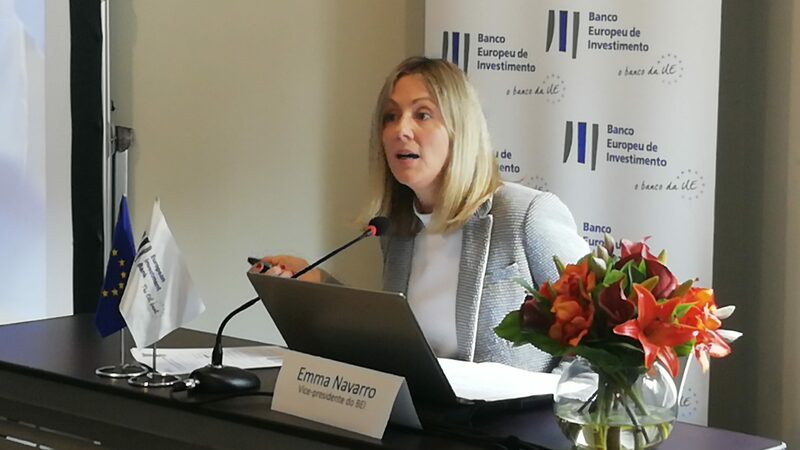 In comparison to 2017, EIB’s loans increased by 3%, whereas in comparison to 2014 they have increased by 34%, said Emma Navarro, vice-president of the institution, at a conference held in Portugal, presenting the results of the bank’s annual activities. Emma Navarro noted that Portugal was one of the very few countries where the EIB’s activity increased in 2018. Last year alone, the bank has financed 26 operations in Portugal: €1.5BN came from the EIB, and €500 M came from the Euroepan Investment Fund. Navarro refused to comment on whether 2019 will be similar, but showed that she is “confident that Portugal’s economic performance will be positive, again”. “We have a great project portfolio, and these are solid projects which are in line with our goals”, she added. When asked about the pipeline of the projects the EIB is supporting, the vice-president only noted that “the evolution is expected to be positive” and that the institution is “analysing several projects that are in line with the EIB’s goals”, such as SME’s and projects which support the fight against the climate change. Examples of this type of projects are the three dams and hydroelectrical plants, located in Tamega and Torno rivers (with a loan at €650M from the EIB) and the floating wind farms which got a €60 million loan — and also an irrigation system in Alqueva.